Click here to see dozens of great patterns and helpful links at the Project Linus National Headquarters website. Note: These are just general guidelines -- we happily accept all sizes 36" or larger! and 2-1/2 yards for teens. PLEASE MAKE SURE YOU BUY AT LEAST 1-1/4 YARDS OF FABRIC FOR ANY FLEECE BLANKET!! Even better are 1-1/2 yard lengths. Note: IF MAKING TIED-FLEECE BLANKETS, PLEASE BE SURE TO CUT OFF THE SELVAGES FIRST! Not sure what a selvage is? See below! 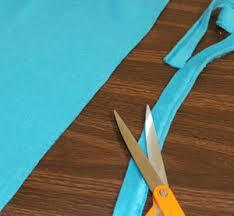 CLICK HERE FOR A GOOD TUTORIAL ON MAKING DOUBLE-LAYER TIED FLEECE BLANKETS! Below are some gentle reminders concerning the types of blankets Project Linus chapters may accept. Blankets must meet these National Guidelines. Thank-you. • Make blankets from NEW, CLEAN, WASHABLE materials in infant, child, or teen friendly colors. Remember, these blankets are meant to be colorful, cheerful, and cuddly. • Crochet, knit, quilt, or tie your blankets - or finish the edge on polar fleece. • Make blankets from cotton or cotton/blend fabric, flannel, polar fleece, or acrylic yarn. 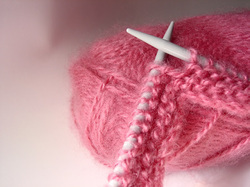 • Secure the batting into outer seams and if the blanket is tied, please anchor it every 4 – 6 inches, cutting ties to 1 inch or less in length. • Weave in all yarn ends on crocheted and knitted blankets. • Check your blanket carefully for straight pins. It’s better you find that pin and not the child who receives your blanket. • Provide your name and address with your blanket. • Don’t make your blankets out of tapestry, burlap, upholstery fabric, 70’s type double knit, felt, vinyl, wool, holiday fabric or wool yarn. Also, please do not donate these types of fabrics and yarn. • Don’t attach buttons or decorative items to a blanket. They can be a choking hazard. • Don’t use thick fabric paint on the surface of your blanket. Use ONLY permanent fabric markers made specifically for fabric when coloring on muslin. • Pre-wash all fabric that you feel may cause a problem with bleeding. • Do not use fabric that has been stored in a damp area and has a musty smell. 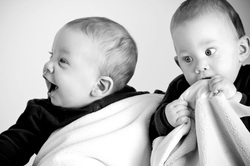 The mold spores can cause an allergic reaction in a child and are very difficult to remove from the fabric. • Blankets that smell strongly of smoke or chemicals (including perfumed fabric softeners) cannot be accepted as they may produce a severe allergic reaction in the children. Unfortunately, washing these blankets does not always remove the problem. 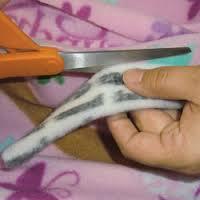 Please use a lint brush or roller on your blankets if they are covered with thread or lint! • Another word about pins … PLEASE check, double check, and triple check your blankets for straight pins. Tags usually separate from the blankets when they are transported leaving a lost pin just waiting to poke a child. PLEASE use only safety pins to attach notes to quilts. Project Linus was named after Linus, the adorable security blanket-toting character from the Peanuts comic strip. He was aware of Project Linus and was delighted to have Linus inspire blanket makers to help comfort a child in need. "Of all the things in the strip, I think that I am most proud of Linus's security blanket. I may not have invented the term, but I like to think I made it a part of our language."